The Best Gaming Headset 2016: The sound is one of the most overlooked crucial parts of PC gaming. I’ve seen hundreds of high-end setups with three awesome monitors, $2000 worth of parts… and a $30 set of speakers. The problem is that sound quality in games is a forgotten importance to most, which is utterly surprising. Forget about the external speakers. The solution lies within gaming headsets. I only started using headphones while gaming a few months ago, and the difference in quality is spectacular. Not only do they provide immaculate sound that truly immerses you into the game, but- believe it or not- they also provide an in-game edge. Things like faint footsteps behind you that actually belong to an enemy attempting to stealthily kill you, or voices you hear from your right, where you soon realize bandits are camped out. Two speakers strapped directly to your noggin provide the clearest way to distinguish the direction of sound in your game, which is exactly what you need to win. A gaming headset is a pair of headphones specced for gaming with a microphone attached to it, and there are literally thousands of gaming headsets on the market today, ranging from $5 to $500 or more. The difficult part is figuring out which one is best for you, and which one is worth the cost. If you already own a nice pair of headphones, then you can transform them into a badass gaming headset with a ModMic 4 microphone for $55. You can read more about it in this article. First, up comes what I’ll say is the cheapest headset you can buy that won’t self-destruct an hour after you get it. It’s the Sades SA902, costing an affordable $27 on Amazon, and it comes with a surprisingly large amount of features. First off, it comes with fantastic 7.1 surround sound and surprisingly decent speakers. The speakers have 20 to 20,000 Hz frequency response, 112db +/- 3db at 1kHz sensitivity, and 32 Ohm +/- 15% impedance. The microphone on it is, disappointingly, not noise canceling, but it is omnidirectional and can be adjusted to reduce background noise. It features a retractable solid boom arm to keep things neat when it’s not in use. The looks of the headset itself are visually appealing, especially for the price and the specs. It features breathing red LED lighting and black and red accents. It also has some pretty attractive curves on the ear cups that look sleek to some and cheesy to others. It also has an adjustable foam headband to keep it from crushing your skull and ventilated leather earpads. 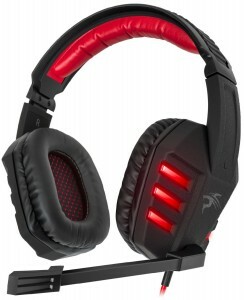 The headset also ships with a braided cable which holds an inline volume and mic control panel. It ships with a driver CD, though it, unfortunately, does not include Windows 10 or OSX drivers, which can make installation annoying. The product does feel cheap (because it is) and uses all plastic materials. The lifespan is also shorter than many headsets, because hey, it was $27. You get what you pay for. All in all, the SA902 earns its place on my list purely because after reading its specs and reviews, I certainly wasn’t expecting the low $27 price tag. If you’re looking to get a headset that works and certainly provides better sound than a pair of $10 speakers, the SA902 is for you. Second is the HyperX Cloud II. This headset has a well-deserved fame in the PC gaming community for its superior build and sound quality for the price. Coming in at around $85 USD, this headset boasts not only fantastic sound and recording but a sound card built into the inline controls. The speakers are fantastic, sporting a frequency response of 15 to 25,000 Hz, a sensitivity of 98 +/- 3dB, and an impedance of 60 ohms. They also contain what is fabled to be the best 7.1 surround sound available now, and echo cancellation. The microphone doesn’t fall behind either, with a noise-cancelling, omnidirectional, cardioid condenser mic. It features a flexible boom to have the mic exactly where it needs to be and a pop filter on the end. The Cloud II is also extremely comfortable, with leather-wrapped memory foam ear pads and headband. It also ships with a set of velour wrapped memory foam pads.The earphones have massive metal hinges on them to fit them comfortably on anything from a baby to a watermelon, and the foam pad on top keeps the admittedly bulky headset comfy. It doesn’t look half bad, either. It ships in black and red, gunmetal gray with silver, or white and pink, the latter color of each option being the accent color. The metal hinges are the accent color and blend with the rest of the unit to make it look very sleek. The only real downsides to the Cloud II comes in speaker degradation. It’s notorious for developing a popping sound in its speakers, making it sound like what you’re hearing was recorded with a dollar store microphone. It’s also notably one of the most fragile headsets on this list (aside from the SA902), so it might not be great as a travel headset. Other than a few minor flaws, the Cloud II finds its way into my list because of its phenomenal value and quality. It has the highest reviews on multiple sites compared to the other headsets in this list and provides great sound, recording, and comfort for under $100. 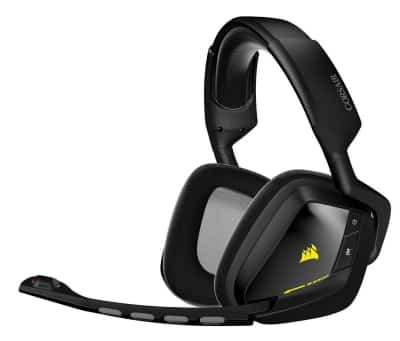 Next up comes the only wireless headset that made it into this list, the Corsair VOID Wireless RGB, costing right around $100. Corsair’s new VOID line relies on of their new thought “Ears aren’t giant ovals, so why should headphones be?” It features a huge battery for around 18 hours of gaming, full 16.8 million color RGB lighting, and ergonomic ear cups that aid towards the headset’s surprisingly light weight. The speakers boast a 20 to 20,000 Hz frequency range, an impedance of 32k Ohms @ 1kHz, and, of course, 7.1 channel surround sound. The microphone; however, is one of the coolest parts about this headset. It features an omnidirectional, noise-canceling condenser mic, but it also has a small LED indicator light on the end, which Corsair calls InfoMic. The LED can be programmed to notify you when your battery is low; the mic is muted, or quite a few other options. It’s a surprisingly useful tool that can’t be found anywhere else. It’s a great looking headset too, sporting some stylish triangular-ish earphones that look unique but fit quite comfortably for most people. Each earcup conforms to the shape of your head and keeps it cool with microfiber wrapped memory foam pads. It features 16.8 million color RGB lighting, and ships in white, black or yellow “Yellowjacket” varieties. Now, as with any wireless headset, a few consumers have reported poor wireless reception. It’s also notable that the 7.1 surround sounds different than other headsets, using a lot more reverb than most- and some don’t like that. Luckily Corsair has fantastic support to get your issues solved as quickly as possible. Corsair pulls their new headset line into my top 5 with some pretty ingenious ideas, great build quality, and some beautiful RGB lighting. For those looking for a mid to high-end wireless gaming headset, the VOID Wireless RGB might just be for you. Plugging back in and raising the bar a bit comes to the Logitech G633 Artemis Spectrum RGB. This tongue twister name of a headset features basically all the fancy stuff the VOID Wireless does, but includes better quality hardware and stays wired. It also slaps on three programmable ‘G Keys’ and lands at $135. The G633’s speakers come with the expected frequency response of 20Hz-20,000Hz, along with an impedance of 39 Ohms and an advertised sensitivity of 107dB SPL/mW. It’s 7.1 channel surround sound is said to be the best of any headset on the market today, which makes it another popular choice among gamers. The noise-cancelling cardioid condenser mic produces fantastic sound, and it even mutes when you’re adjusting the boom. Housing all the goodies inside is a beautiful shell that’s as lit up as Christmas day with RGB lighting. 16.8 million colors, and practically the entire ear cup lights up- but somehow without looking tacky. Logitech’s design keeps the light shielded but still visible to look quite attractive. Its microfiber wrapped memory foam earpads and headband keep it comfortable on any head, and it features its inline controls and three programmable keys on the left earcup. It’s unfortunately too heavy for some heads, weighing in at 1.7 pounds. It’s also a pretty large headset, so if you’ve got a smaller head, you might want to look elsewhere. Other than its size, though, the G633 is a fabulous headset with impressive sound and visuals, which makes it well worth it’s $135 price tag. Finally, we get to the $160 Sennheiser G4ME ONE. 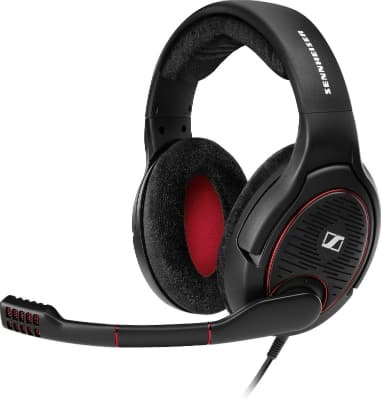 Sennheiser is a German company famous for their unsurpassed sound quality for the price, and the G4ME ONE does not disappoint. Featuring their famous speakers, an open-ear acoustic design, and a lightweight design, the G4ME ONE certainly earns the last spot on my list. The speakers on this bad boy range from 15 to 28,000 Hz, an impedance of 50 ohms, and an SPL of 116dB. The open-acoustic design helps keep you connected with the real world while gaming, but still cancels any annoying background noise. The noise-canceling cardioid condenser mic features a built-in pop filter to keep annoying ‘Ps from exploding the mic. 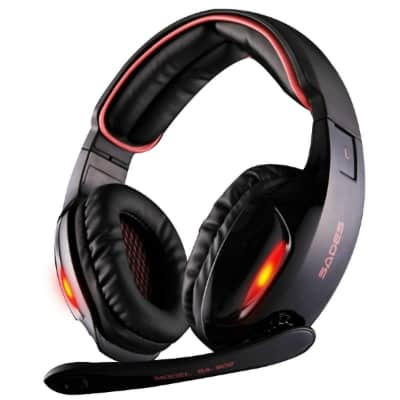 The headset ships in black or white, with both models sporting attractive red accents that make the headset look significantly more professional than the other models on this list. It’s got plush velour wrapped XXL memory foam headband and earpad, and the open-back design keeps your head quite cool while gaming. There are no flashy LEDs or obnoxious curves, so this headset could easily double as an office headset. The big issue with the G4ME ONE is that it’s so good that it sounds sub-par unless it’s plugged into an amplifier beforehand. Get yourself a nice amp to satisfy your inner audiophile, and you’ve got perfect sound and the perfect gaming headset. The G4ME ONE’s quality, looks, and comfort easily justifies the $160 price tag for someone who wants the best. 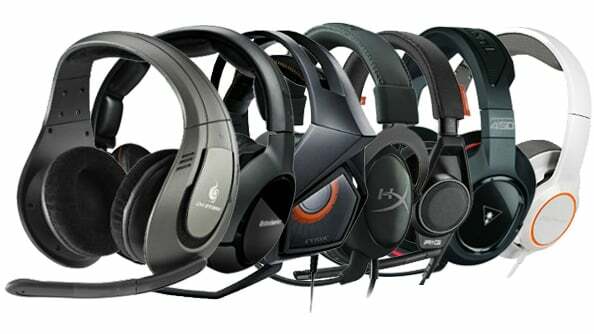 In this article, we are going to take a look at gaming headsets. 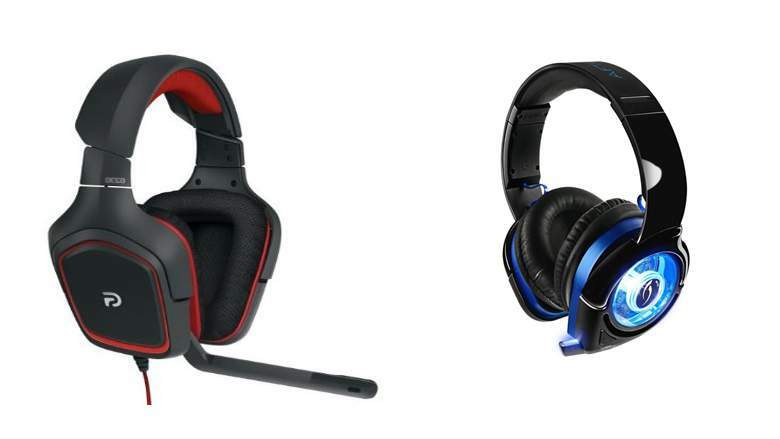 Not only are they a cool piece of technology, but some brands of these headsets, like Astros for example, can cost almost as much as a console. So the question is, are they worth it? The reason that I bring this topic up is that from audio engineers to gamers, this is a hot topic of debate. And all-in-one headsets aren’t good for either of these things. For some people, though, a gaming headset is perfectly fine. So hopefully this article will give you a good idea of why you would want to choose one or the other. So to kick off, like I said, gaming headsets are an all-in-one approach giving you a microphone as well as a set of headphones. Most good headsets connect multiple sources by USB, Bluetooth or Analog. And some also give you the option to mix these sources individually. If you break it down, what you are getting when you buy a good headset is a set of headphones, a microphone, a mixer and an audio interface. The problem is that they kind of like a Swiss Army knife in the sense that sure they are convenient but none of the components compared to the individual tools. Now as far as the headphones go, the best gaming headsets usually boast surround sound capability, which is all good and fine if you are after this feature. Stereo headphones don’t give you the space of a surround sound headset. But they will still give you a good sense of direction because after all we only have two ears. The problem with surround sound though is that generally speaking to achieve this effect you need multiple drivers which have to be smaller to fit into a set of headphones. What this means is that a good set of stereo headphones will almost always give you a better bass response than a surround sound headset, which most people would say makes them sound a lot better. The other main component of a gaming headset is the microphone which suffers from the same problem as the drivers, by having to squeeze into the body of the headset. The fact is, a standalone microphone like a Blue Snowball is going to have a much larger diaphragm than a headset mic, which once again gives it a much better bass response. The other problem with a headset is that you probably going to look like a bit of a d*ck if you want to use it out and about to listen to music. On the other hand, you can use headphones in a lot more situations and mics like the Snowball that I mentioned before, are also commonly used on PC by YouTubers and streamers. Now bearing all of these in mind, both options obviously have their pros and cons. But the most common thing that people tend to forget is the inputs, outputs, and the mixing. The reason this is important is that most people just buy a headset designed for their particular platform which may or may not work with other platforms. What a lot of Youtubers do to get around this is use a separate mixer to route all of our sources which in my case includes a TV output, the chat output from my PS4 and my PC. This is obviously a lot more complicated to set up than a headset. But it allows you to mix and record all of the different sources independently which is critical if you want to make videos or live stream. The other thing that I should probably mention here is that there is a big difference between consumer level and professional level equipment. Gaming accessories in general look and feel pretty plasticky, and on the other hand, even a cheap mixer or a cheap set of studio headphones is going to be a lot more rugged. Studio headphones are also going to give you a flat response which means that you are going to keep close to what the sound engineer intended the mix to sound like. On the other hand, consumer level headphones like Beats or gaming headsets usually ‘hype up’ certain frequencies which are like a preset EQ setting that you can’t change even if you hide it. Now to finish up to give you a quick idea of how much the two options cost in comparison. A high-end gaming headset like the Astro A50s will set you back around 400 bucks. Admittedly, the A50s are pretty good though with multiple digital and analog inputs and a built-in mic. But they, of course, suffer from all the cons I have already mentioned in this article. On the other hand, the studio headphones that I use are a set of Sennheiser HD 280s worth about 180 bucks. The mixer is a Behringer Xenyx Q502 worth about 90 bucks, and a mic like the Blue Snowball will set you back about 100 bucks. While looking for these products, the most important factors along with the cost, are better sound and versatility. If you already own a PS4 Camera or a Kinect, well you could probably even knock off the cost of the mic by selecting one accordingly. There are plenty of other headphones out there that cost a lot less money as compeered to the ones I have mentioned here. You don’t even have to buy a mixer if you don’t want to plug in multiple sources. But if you set up does change a lot a day, well, you are not going to have to go and spend a lot of money for a whole new headset. If you are someone who still prefers the all-in-one approach though then I can understand why you decide not to bother with a complicated set up like this. At the end of the day, it comes down to what you need as a gamer and what you think you will need in the future. But hopefully, now you can see that there is an alternative out there if you want a few more options. The wise thing to do while investing in hardware as this is to do your research and select one that fits your needs in a better way than the rest. I want to highlight how important it is to get high-quality peripherals. Many people think that they can squeak by getting the bare minimum they need. This is just patently false. If you want to game, if you want to be serious about your fun, then you have to get the best you can. And that’s what I’m going to help you do. So… listen up. And that incredibly clever segue brings us to headphones. Now, headphones in and of themselves are not something the average gamer thinks about. That’s because headphones are a blanket term, and gamers, the serious professionals we are, have created a specialized term for our kind of headphones: headsets. Now, traditionally a headset combines the general idea of headphones with additional functionality, which generally means a microphone, but could potentially mean other devices and gadgets as well, like volume and balance controls, and even virtual surround sound capabilities. Now, like a bad gamer or a lying Redditor, everyone can see what a headset is and what it isn’t. So I’m not going to bore myself or you with the intricacies of how they work. No, I’m just going to go right for the goods, literally. As in, which one should you buy? When compiling this list, I decided to settle on five headsets that accurately represented the different facets of what it is generally important in the world of gaming-related sounds: Price, Surround Sound capability, Wireless support, Sound clarity, and Overall Quality. Number 5: the low price that saved the bank: VersionTech G2100. I was honestly beyond surprised at how cheap this guy was especially considering its relative quality. The casing itself is a mix of plastic and metal, but everything is well-built and put together. There are some concerns about its sound quality and the mic placement, but from what I’ve seen the quality is much better than you’d expect from a $30 pair of headphones, and the mic… does its job. Honestly the mic could be better but even the highest quality headsets tend to have somewhat lowdown mics so I can’t knock it for that. 30 dollars! That’s a steal if you’re looking for a setup on the cheap. Number 4, the sound heard ‘round the head: Logitech G35. This guy could probably make a solid run for ‘sound clarity’, but I gotta put it here for reasons I’ll go into in a bit. What I can say about its surround sound capability is, well, simply put it’s 10/10. Logitech knows sound quality, and this guy is no exception to that. Just about everything comes through super clearly, and with it currently sitting at a cool $60, this certainly knows how to put a spin on all around goodness. The 7.1 surround sound (which basically means it emulates a seven piece surround system right in the headset) is powered by Dolby and is wonderful with any game that has surround sound support. 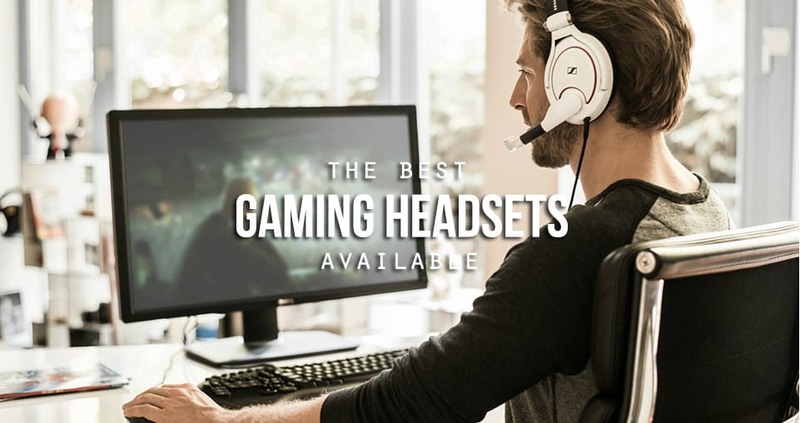 The only thing keeping this guy from ascending to gaming nirvana is its construction- the connectors between the headband and the sound cups have an unfortunate tendency to break after extensive use. This doesn’t happen in a majority of cases, which is why I still really like the headset, but there’s enough of it floating around that I had to mention it. Great headset with just a few flaws to keep it from being the best. 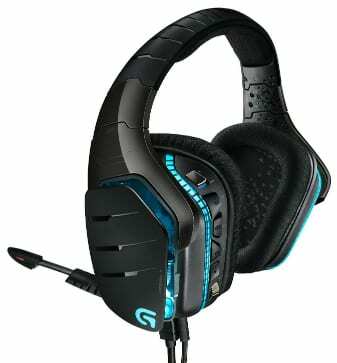 Number 3, the headset you can walk around the room with: Logitech G933 Artemis. Yeah, two Logitechs on the list doesn’t make me biased, thanks for asking. Seriously though, the one drawback about wireless headsets has always been their unreliability and their lower quality sound. The G933 laughs at these issues as it flies by on its USB wireless wings. If you can believe me, this headset has better sound quality than comparable wired headsets, while also having a massive battery life and range, and to top it all off, with Logitech’s sound mixer software you can run up to three separate devices’ audio through the headset at once (not sure why you’d want to, but hey, if you want to listen to your phone, sound system, and computer all at once, now you can!). This thing at $186, this guy is definitely a good example of money well-placed. A massive improvement over any wireless headset, and several wired ones too. Number 2, the smoothest sound you’ll hear outside of a New Orleans jazz club: Sennheiser GAME ONE. 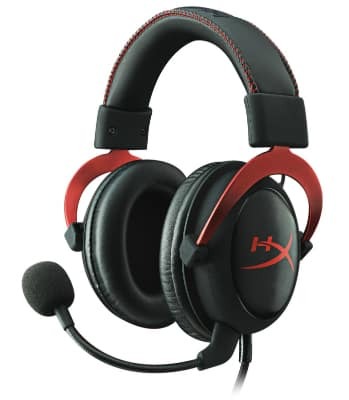 Number 1, the headset for everyone: Kingston’s HyperX Cloud. Now, this is my personal headset of choice, so with everything I’ve praised about the above headsets, that has to say something. Not only does it have a wicked cool design, an almost completely metal design which makes it durable beyond compare, and sound quality on par with God’s own choir, it does it all for less than seventy dollars. I’ve had mine for almost a year with no difficulty whatsoever, and to this day I find myself marvelling at it. The noise-cancelling is almost too good, if that can be believed. Several is the time that my fiancee has managed to sneak up behind with these headphones on, without even trying. HyperX puts quality ahead of everything in their designs, and with sponsorships throughout the Pro eSports scene, it’s easy to see why. Everyone wants their stuff because it’s just that good. So there you folks have it. 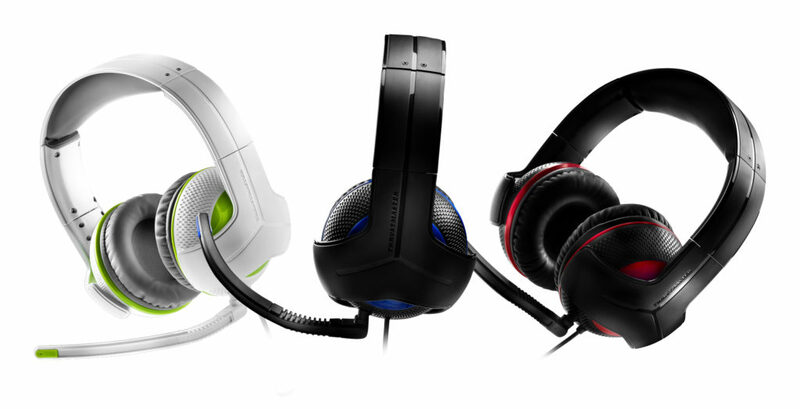 Five headsets even the most discerning gamer can find something in. If I had to add anything else on, I’d give an honorable mention to the Blue Snowball microphone. While not a headset, with all the talk of sound quality, nothing beats a desktop mic in terms of clarity for the guys on the other end. Something to bear in mind when you’re in your next battle. After all, what’s this article been about other than hearing things loud and clear.